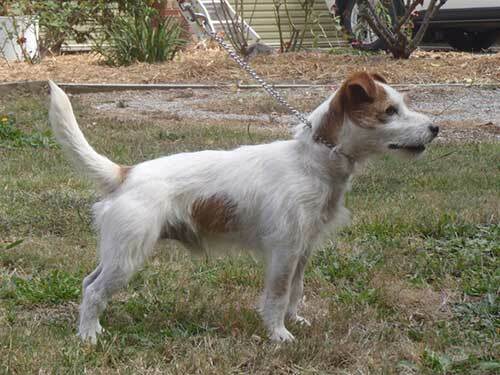 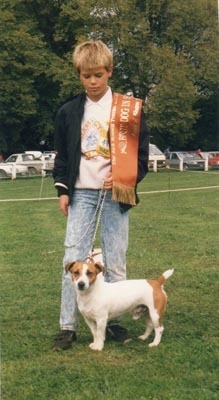 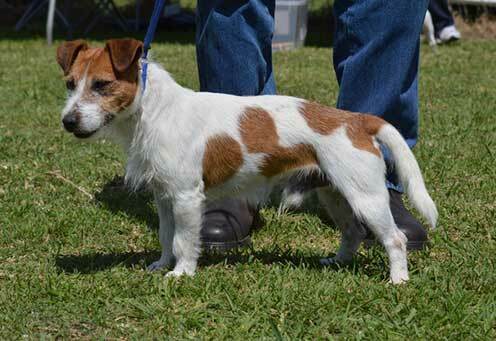 JRTCA dogs that made their mark on the Breed & in our Club. 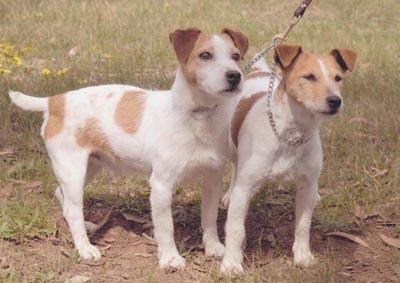 PINJARRA SKIP (LEFT) - SIRE: Bangalay Ranger, DAM: Pinjarra Twinkle. 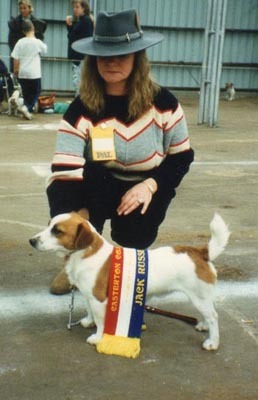 Bred and owned by Norm and Joy Hoare. 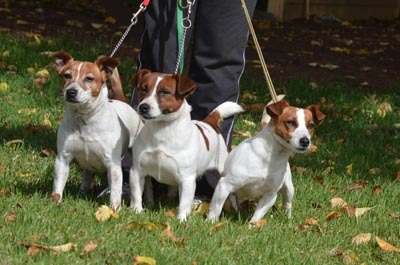 PINJARRA PENNY (RIGHT) - SIRE: Jackian Rufus, DAM: Gooniwiggal Sweet Ellen. 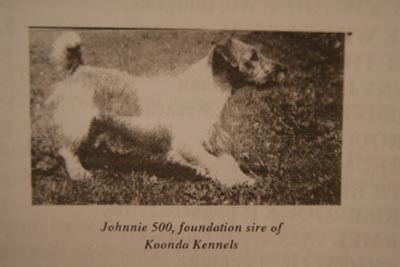 Bred by Norm and Joy Hoare / Owned by Ruth Hutton. 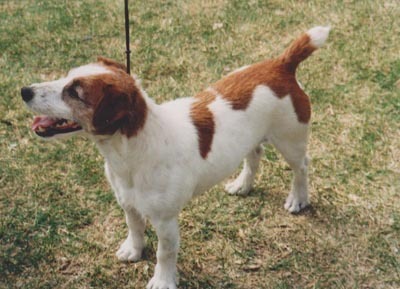 HAVEN PARK CANDYTUFT - SIRE: Koonda Beau 2nd, DAM: Havenpark Nutty. 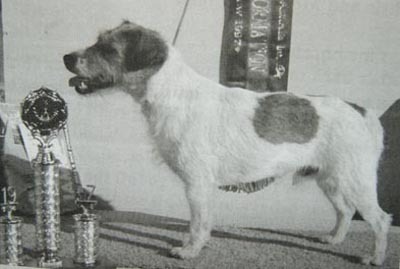 Owned and Bred by Shirley Foster. 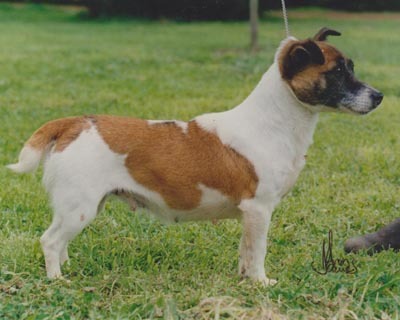 PINEVIEW Jacko..... Sire - Spring Cottage Pickles [UK] Dam--Pineview Classic . 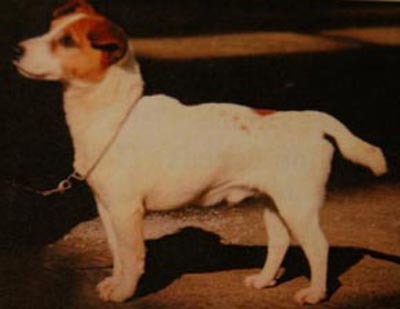 Bred by M.Franceschi. 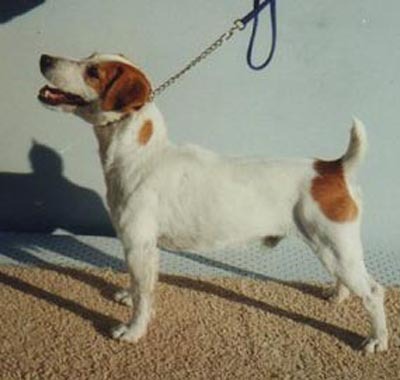 MAROY ROBERTY DEE - SIRE : IBM Jeremamo, DAM: Maroy Sophie. 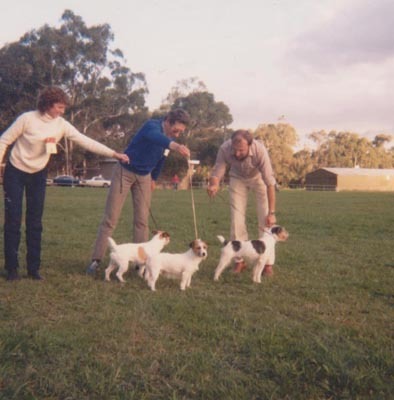 Owned and Bred bu Roy and Marg Baldock. 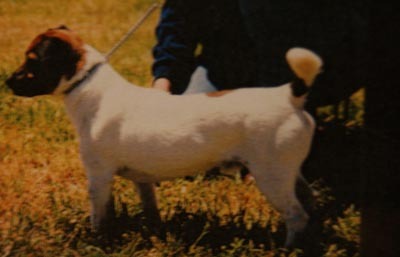 MELRAE SHELBY - SIRE: Amber Gambler, DAM: Pulletop Maggie. 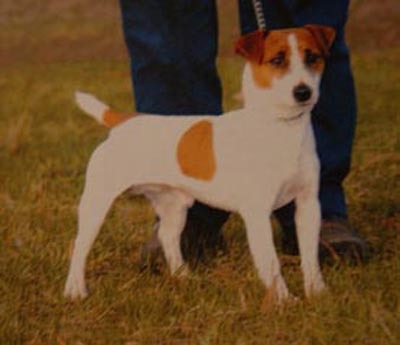 Owned and Bred by Karen and Peter Stibbard. 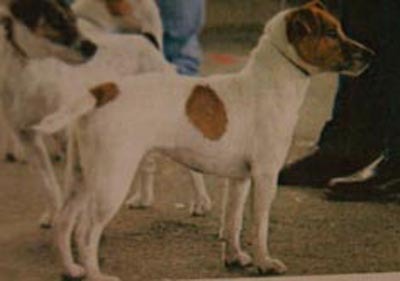 NATIONAL SHOW 1985 (L) - Beau Bryant, (Centre) - Jo Ballard, (R)- Roger Bryant with Heythrop Taff (Imported) and his Progeny. 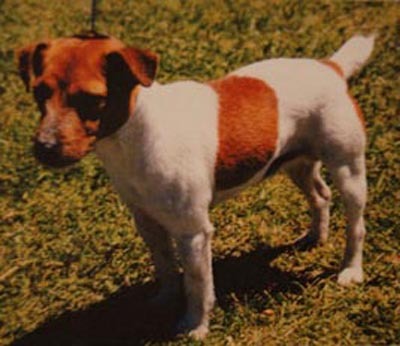 PROMINENT JACK RUSSELLS ...... 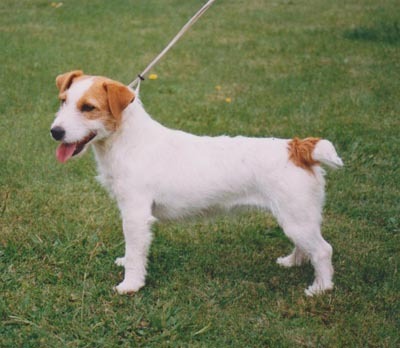 They may be in YOUR Pedigrees!